This recipe is a great low carb alternative to rice. For alternative flavours add turmeric, cumin or chilli, however as a replacement to rice this recipe is designed to enhance other flavoursome dishes such as stir fries and casseroles, so it is not necessary to over-flavour. It makes for a great addition to salad-based lunches, and I have made sushi from Cauliflower Rice. Chop cauliflower into chunks. 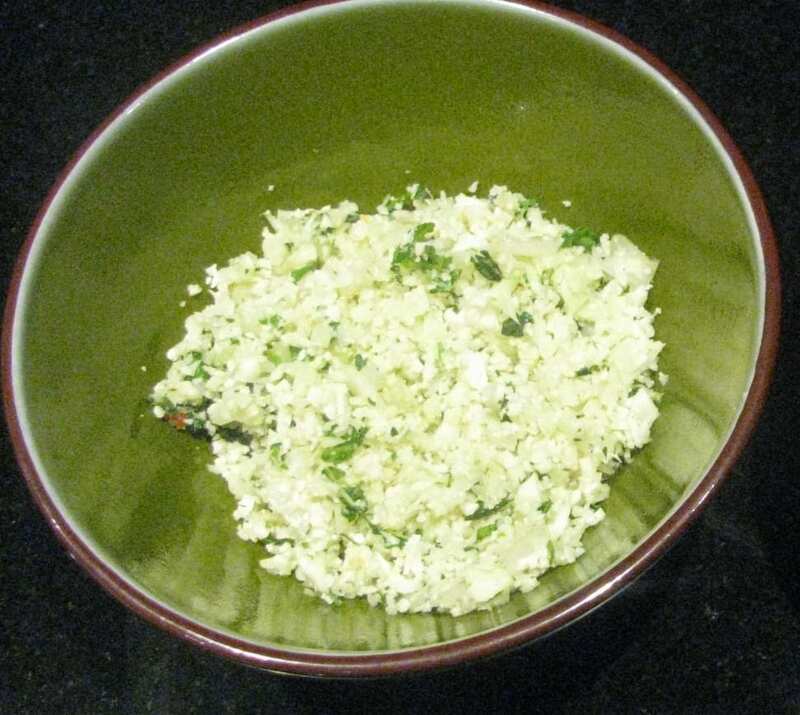 Place in the blender bowl and blend until cauliflower resembles rice. Cauliflower pieces should be the same size as a grain of rice. 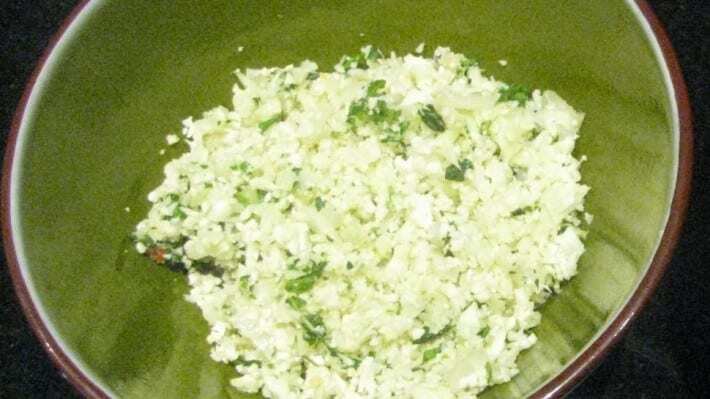 Sautee onion in coconut oil and add blended cauliflower, coriander, salt and pepper. Cook until cauliflower is just cooked and heated through. Serve as an alternative to rice with a stir-fry or casserole, or add to a salad for extra texture and flavour.